Securely store a spare battery in each of these new packs. 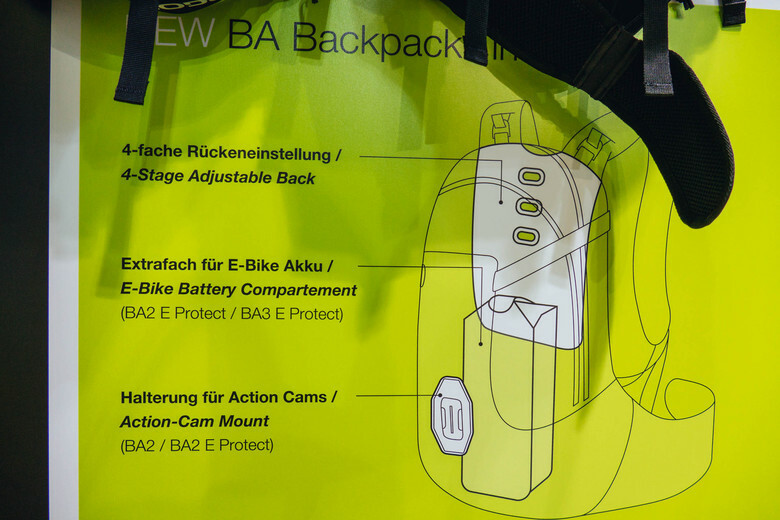 Riders looking to extend their E-mountain bike rides will be interested in two new backpacks from Ergon and EVOC, who both presented new solutions for this genre of riding at Eurobike. 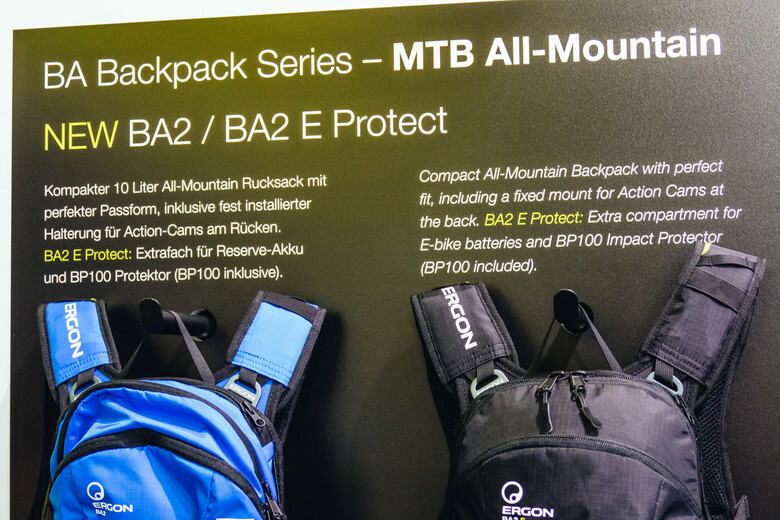 Ergon’s new BA2 and BA3 E Protect backpacks feature a fixed mount for an action camera on the back of the pack, an extra compartment for an E-bike battery, Ergon’s BP100 back protector, and a four-stage adjustable back adjustment to customize the fit. The BA2 is a 10-liter pack while the BA3 has more room for bigger adventures with an expandable volume of 15 to 17 liters. 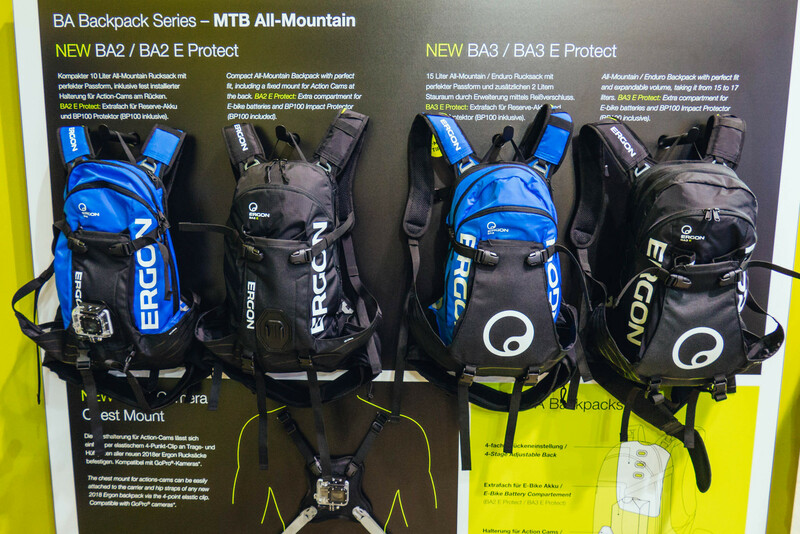 EVOC’s new FR Trail E-Ride pack also looks very well put together. 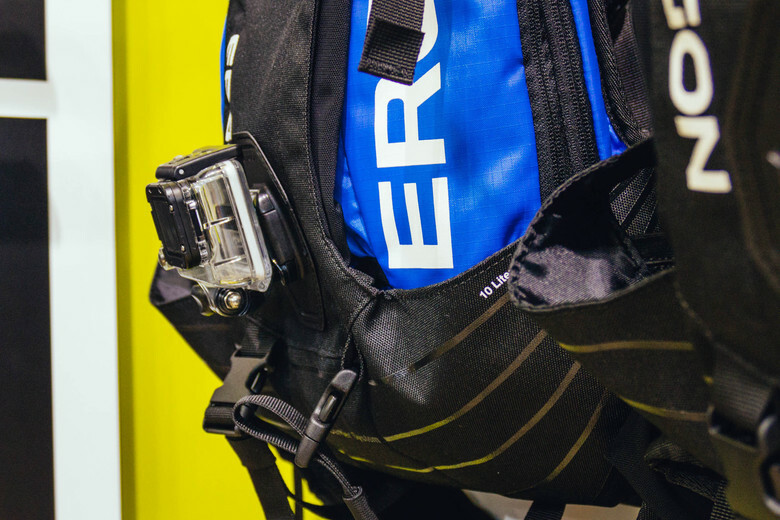 It has EVOC’s Liteshield back protector, a centered and padded storage compartment for strapping in a spare battery, as well a pocket for a charger and a fleece lined compartment for a detachable control display. This pack is due out in the spring of 2018, has a 20-liter volume, weighs 1500 grams, and comes in the slate color. Stay supercharged by visiting www.ergon-bike.com and www.evocsports.com.